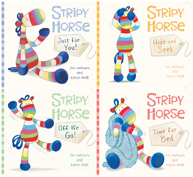 Merry Christmas from Stripy Horse and see you all again in 2010! 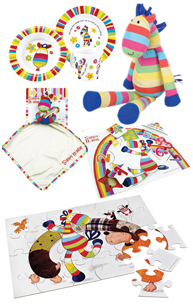 Where can I buy a Stripy Horse Soft Toy in the United States and if not in the USA, then is there a company in England that would ship to the USA? 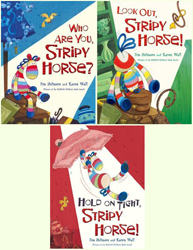 My granddaughter LOVES the Stripy Horse books. She is 2 1/2 years old and I would love to get her this soft toy for Christmas. Please respond as soon as possible so I can see about purchasing this toy for her Christmas. Thanks Becky, we’ve had lots of similar requests over the last few months, as the toy has been out of stock for a while, but we’ve been told that he will be available again in the next week or so. The toy will be back on Amazon and for anyone in the UK, you should be able to buy him from independent book and gift shops. 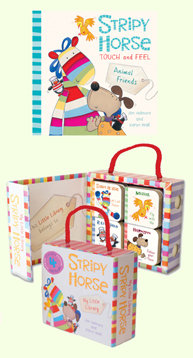 Sorry about the wait, hope you can hang on and have a lovely, stripy Christmas!